Famed investor Warren Buffett is betting on housing… literally. Perhaps replaying a scene from a classic movie, the Berkshire Hathaway CEO has made a Trading-Places-esque $1 bet with former Office of Management and Budget director Peter Orszag that unemployment will fall below 8 percent before the next presidential election due to a strong housing rebound that will breathe life—and jobs—into the economy. Don’t miss out on your chance to bet with Buffett. 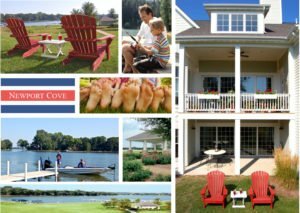 Mortgage rates are at all-time lows at Newport Cove, and the only way to avoid losing a lot more than Peter Orszag’s dollar is to lock in those rates now.